So far, Federal Reserve rate traders aren't taking Trump's tweet attack seriously. He has failed. Three days ago, before the Trump attack started. 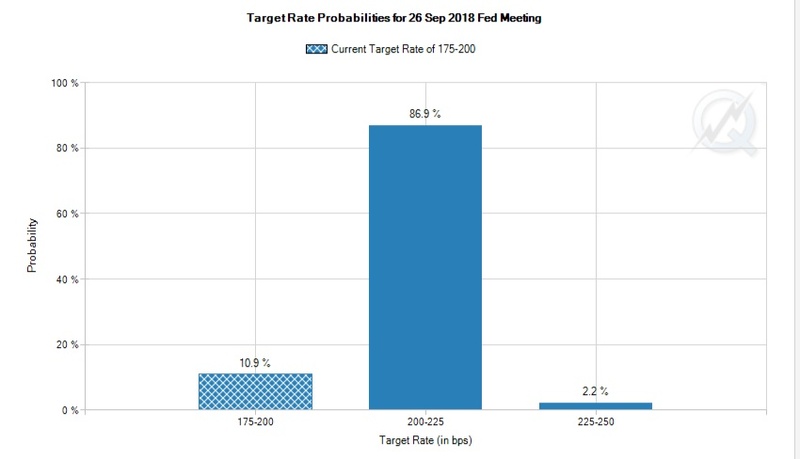 I posted in the EPJ Daily Alert the odds of a Fed rate hike in September as measured by Fed interest rate futures traders. 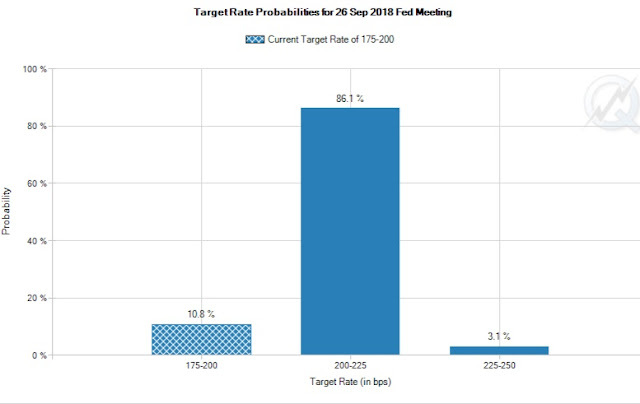 At the time, traders indicated an 89.2% probability of a September rate hike, with an 86.1% probability of a 25 basis point hike and a 3.1% probability of a 50 basis point hike. After Trump's tweets, there has been barely any movement in the expectations. Traders aren't taking Trump's tweets seriously. Trump took the election pointing out the "big fat ugly bubble" only to change his tune when his feet hit the white house floor. You've pointed this out here at EPJ. Also, suddenly government numbers were real and iron clad. 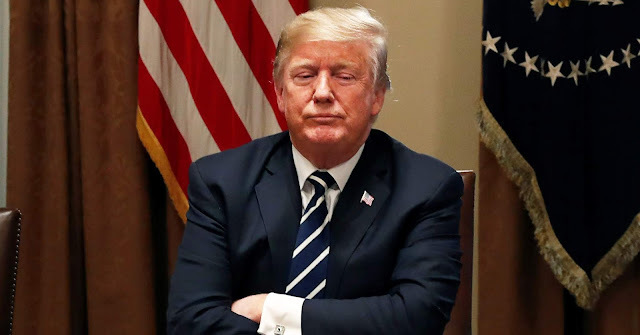 Now, and I do not believe this is on purpose, he may have created an escape route with his die hard / no-analysis base ---- when the economy falters he has created a route to deflect blame. The FED changed policy and raised interest rates to attack him and Americans everywhere. Believe me they will fall for it. Either way looks like there is definately ZERO hope for any kind of responsibility when the economy, and more importantly to Trump, markets turn down. 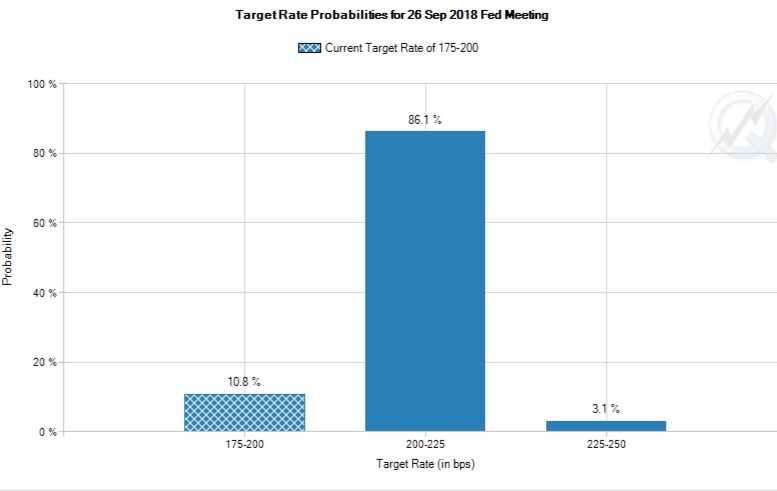 Both sides will be banging the table for MORE FED, MORE QE, MORE CREDIT, MORE DISTORTIONS, AND MORE POWER! When you look at it like this you can't help but channel Mises at Mount Pelerin and consider that the Socialists will in fact sweep 2020; explicitly or implicitly.